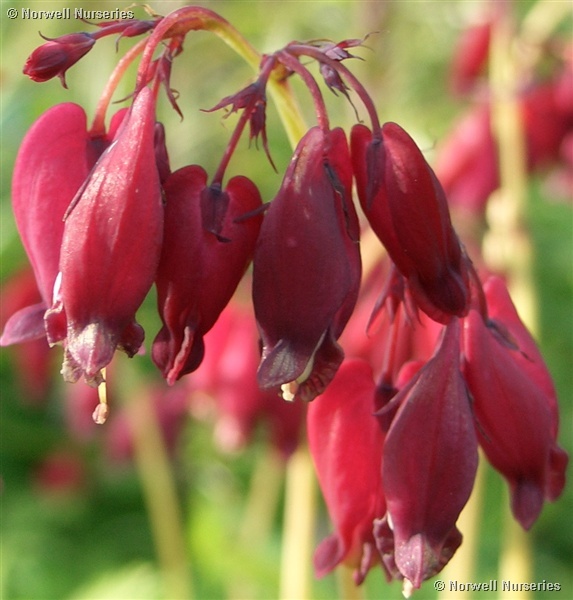 Dicentra 'Bacchanal' The darkest red of all Dicentra flowers above blue green foliage. Spreads well and is easy to grow. Thoroughly reliable and flowers for a long time. Part shade.